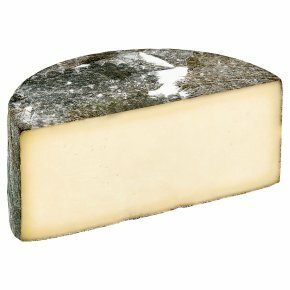 This fresh and lemony offers a moist and crumbly texture and a mushroomy and delicate aroma. It's perfect to melt over burgers or to crumble into salads or sauces. When making this cheese, it is covered in hand picked edible Nettles which are steamed to remove their sting. The nettles are edible, and produce a lemony flavour.